So! I thought I’d pop in and share my most recent addiction. Yoga. I’ve been in a back and forth relationship with yoga for years now, but since being in CA I’ve really been able to dedicate my time to expanding my practice! 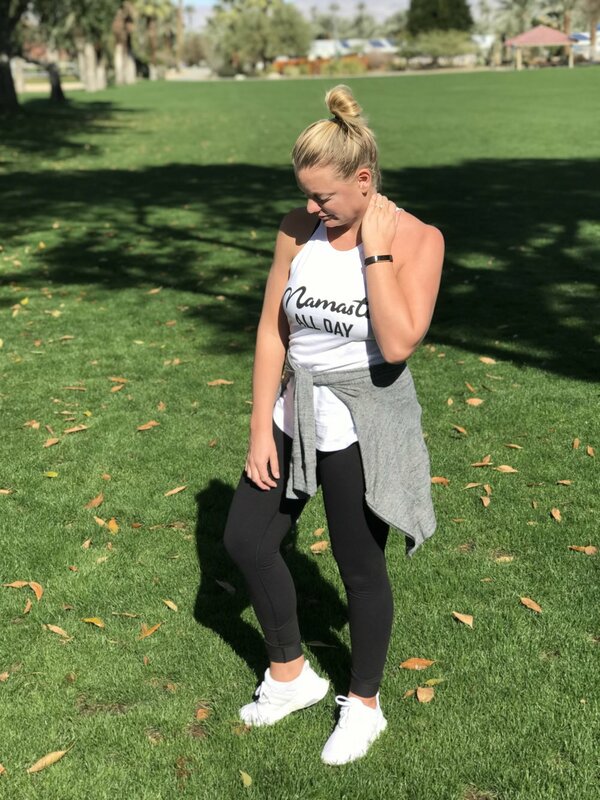 i wanted to share my favorite yoga outfit that doubles as my momiform for running errands with the babes all day!